Ida P. Rolf designed a basic strategy to deliver Structural Integration as a series of 10 sessions (the “Recipe”). Each session of the process is both a continuation of the previous one and an introduction to the next. 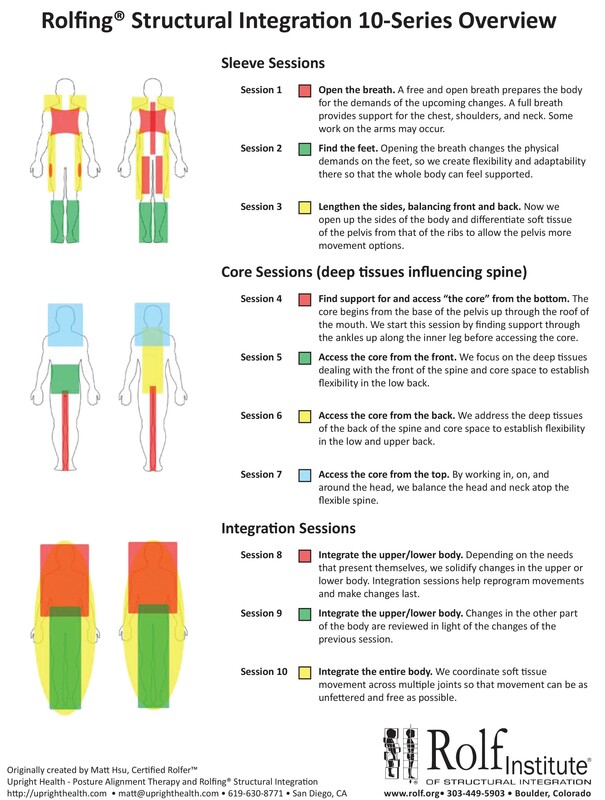 Generally, but not necessarily, a client’s initial Rolfing series is based on Ida P. Rolf’s formal ten-session strategy. However, the number and precise content of a particular client’s sessions is determined by the client’s needs and best interests.